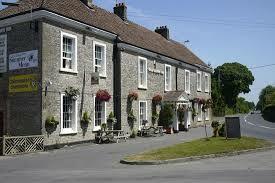 My favourite pub is not my nearest but a place called the Old Down Inn run by the one and only Maxine. It was a stop on the old postal road in days of yore. I arrived about 12:15. there was one other person in the bar sitting staring into his beer. I ordered roast of the day and a large glass of rose wine. It is strange that when people come, a dialogue develops. You could almost call it a one act play and it reminds me of Shakespeare’s “all the world’s a stage” I started a conversation with Maxine by asking her where she got her wood for the fire saying that I’d just been to Longleat which is a place near Warminster famous for its wild life Park and an adjoining outlet for firewood. She said she got it locally but the silent person at the bar suddenly perked up and said that you can get 10 bags of wood or £12 at Jacksons, a local place tucked away along a side road. We all discussed the merits of softwood versus hardwood. The landlady complained that her son had been bullied by someone at school and had had his finger broken. She complained that the school wanted to see the CCTV to validate it. I said sarcastically, maybe they thought he did it to himself for fun. She said the school promised to say how he was but, it is 1.15, and no one has called. There then followed a discussion about Political Correctness. The nice thing about such a pub is that you never know when you going to meet what you can talk about. That is how a community centre should be. The group, mostly locals, farmers, workers, retired couples, and there isn’t a mobile phone in sight. What a relief. I wrote to a friend who had written to me previously in a rather hurtful way. On the advice of my wife I wrote a draft and left it for a couple of days. I then realised that the tone was inappropriate and I drafted a much more reasonable letter which again I showed it to my wife and we both agreed that it could be posted. I think there should be some sort of delay mechanism in our out tray of our e-mail where if we were unsure of the content we could pause it for 24-hours. Before traveling whether locally or to the other end of the world I am meticulous in my preparations. And so this time.